Only 5 working days to go, then it's time for a fun weekend of art and jewellery as I invite you to join me in my workspace. Friday evening will have music and a few drinks, Saturday will be a more leisurely day for you to drop in and see us and our work. 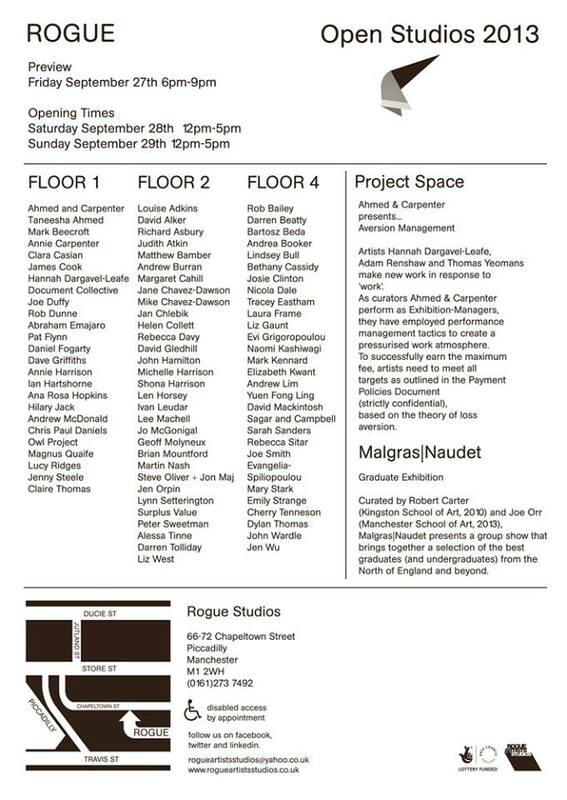 Housed in an old textile mill in the heart of Manchester, Third Floor Studios is the newest addition to the already established collection of Rogue's Studios and Project Space. The whole building will be open to the public for this annual event, it is my first one in this building and I will be showing my work, inspirations and selling one-off pieces, old and new designs and some amazingly priced samples. And it's a good excuse for me to tidy up, open up a bottle and try on some giant jewels. If you can't make this weekend and you are interested in viewing my collection can also arrange a future visit, just get in touch!